SAN FRANCISCO: Its hard to believe its been half a century since Chevrolet unveiled the fabulous fiberglass bodied Corvette, America¹s only mass-produced sports car. Todays Corvette has come a long way since those first 300 cars of 1953 rolled off the assembly line with 150 horsepower six-cylinder engines and a $3,500 price tag. While the base price has swelled to about $43,000 for a 2003 model who can argue with 350 horsepower and a throaty V8, not to mention the latest 21st century technology? 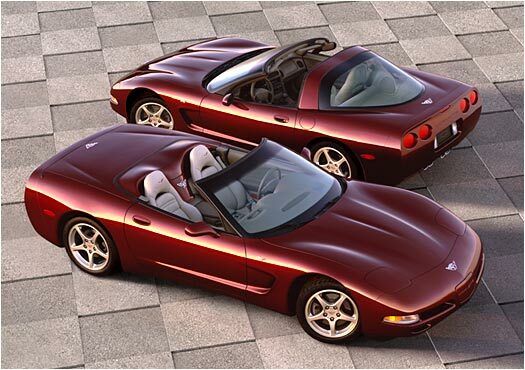 Chevrolet celebrates the Corvette¹s 50th birthday with a special edition that includes a spattering of fancy badges, a gorgeous dark red metallic paint scheme and a miracle of technology called magnetic selective ride control. Basically the system provides a quieter, smoother ride without compromising handling precision. It works by varying the electric current sent to a special liquid inside the Corvettes shocks, which instantly makes the liquid thicker or thinner to adjust for varying road conditions. The ride is still extremely stiff -- exactly as it should be in a sports car -- but the new system takes the edge off bumps and makes the Corvette more livable for a daily commute. Surprisingly, the magnetic ride control has little effect on the cars high-performance handling, which is incredibly well balanced and responsive. Body roll is virtually nonexistent even in tight turns, and the thick steering wheel transmits road feel from the front wheels with almost surgical precision. The heart of every Corvette though is under the hood, where a pavement-crunching 5.7-liter V8 breathes fire as it makes 350 horsepower with a window rattling exhaust note. Its enough to reach 60 mph in just over five seconds with an automatic transmission and even quicker with the optional six speed manual gearbox. As if thats not quick enough Chevy offers the souped-up Z06 model with a 405-horsepower engine that can reach 60 MPH in a mind-blowing 3.9 seconds. Its the fastest sports car in the world you can buy for $50,000. It¹s important to note that there are several world class sports cars in the Corvettes price range, including the Porsche Boxster, the Mercedes Benz SLK, and the brand-new BMW Z4, all of which offer a completely different driving feel. The Corvette more closely competes with the much more expensive Dodge Viper in terms of handling and raw acceleration, but the Viper doesnt offer as many amenities or real-world drivability. For a mix of comfort and true sports car handling the Corvettes closest competitor is the Porsche 911, which also is much more expensive. Both those cars make $43,000 look like a bargain. My favorite thing about this fifth-generation Corvette, aside from its superb engine, is the traction control system that saved me from at least two dry-weather spins but still let me have some fun. Unlike other traction control computers that abruptly interrupt at the first hint of sideways skid, even the intentional kind, the Corvettes system wont take over unless the driver is clearly on the verge of losing control. Essentially it lets you have fun using the accelerator to slide the back end through corners and only kicks in when the driver makes a dumb decision. Amazing, isnt it? Whats even more incredible is that Chevrolet continues to improve on this legendary sports car year after year. A completely new Corvette is rumored to be faster and more refined when its introduced in 2005, and with continued improvement dont be surprised to see a 100th anniversary edition a few decades down the road. 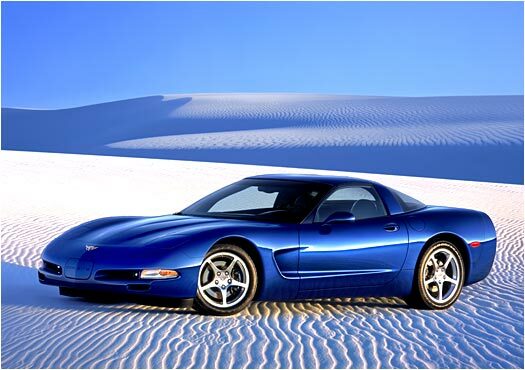 Column Name: After 50 years Corvette is still Hot!